My trip to New York happened four months ago (to which I can’t help but say, where the heck did time go?) and even though this post is so, so late, cultural posts about New York are always relevant. I am an absolute art freak and like London, New York is a haven for people like me. 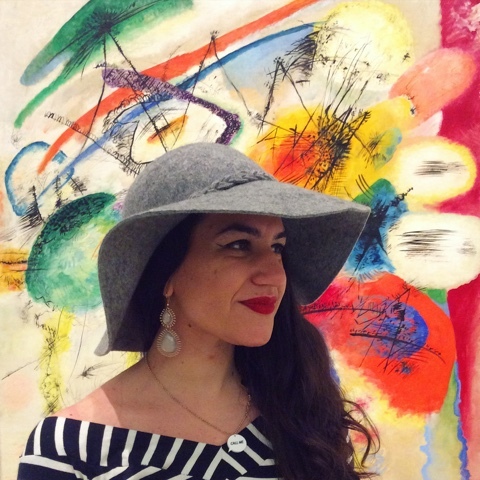 My friend and I went to three museums: the MoMA, Guggenheim and Metropolitan Museum Of Art. They were all wonderful in their own ways, full of precious gems and iconic pieces – and whilst I would probably have to say my absolute favourite was the Met because of the sheer abundance of incredible art and the striking architectural elements within its building, I’m thrilled I got to see all of them. I would love to share the hundreds of pictures I took in all three museums (another thing that I loved about New York museums – you can take pictures! 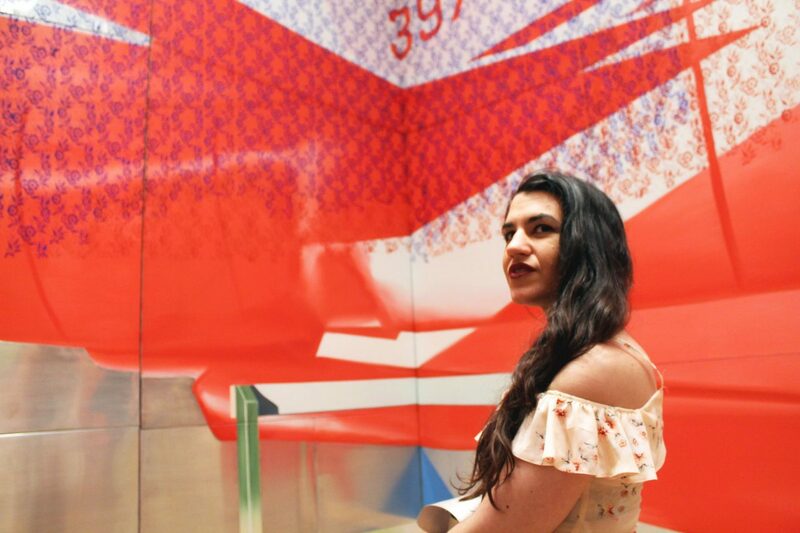 ), but I thought I’d pretend to be civil and choosy by sharing 13 (couldn’t do 10, soz) of my favourite memories from what was a fantastic art overdose in the Big Apple. Kandinsky at the Guggenheim: I’m not big on abstract art but I do find 19th-mid 20th century Russian painter Wassily Kandinsky’s work charming and alluring. 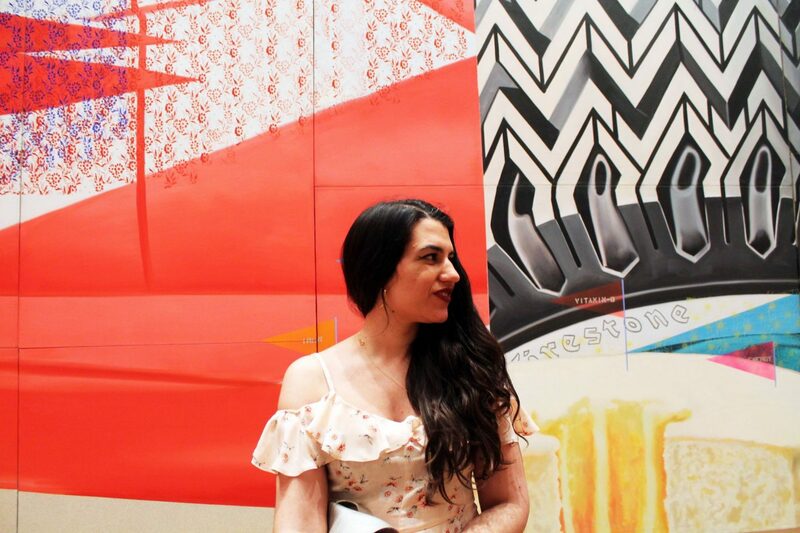 James Rosenquist at the MoMA: James Rosenquist is an American pop artist who is known for his enormously beautiful and collage-like paintings, which indirectly reflect on consumerism and the American dream. They are eye-catching, colourful and brilliantly executed, yet full of mystery and meaning. I’ve seen solo exhibitions of his in the past and it was amazing to experience his large scale work again. Monet’s lilies at the MoMA: Firstly, I am obsessed with Impressionism, the late 19th century art movement. 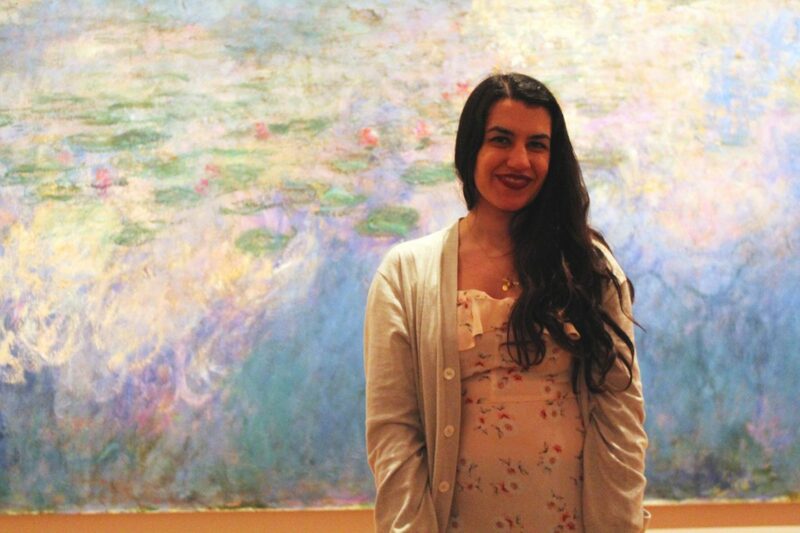 Secondly, there was no way I was not going to have a cheesy tourist picture moment with Claude Monet (one of the founders of the movement)’s water lilies series of paintings, which took up a whole room and are so much more incredible than what this picture shows. 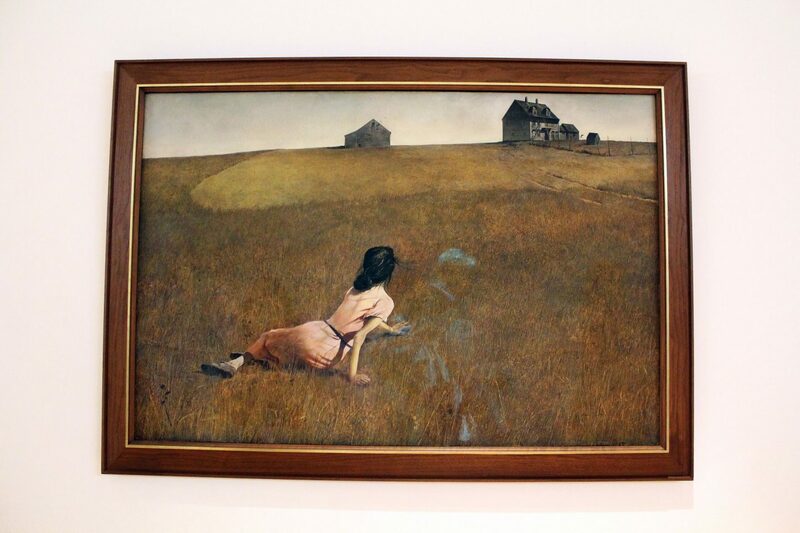 ‘Christina’s World’ by Andrew Wyeth at the MoMA: I could have cried when I laid eyes on this painting. This is essentially a picture that I grew up with – I have memories of my mum showing me a picture of it as a child and instantly loving it. Painted in 1948, it’s got such a strong narrative that is both sad yet hopeful and full of dreams. 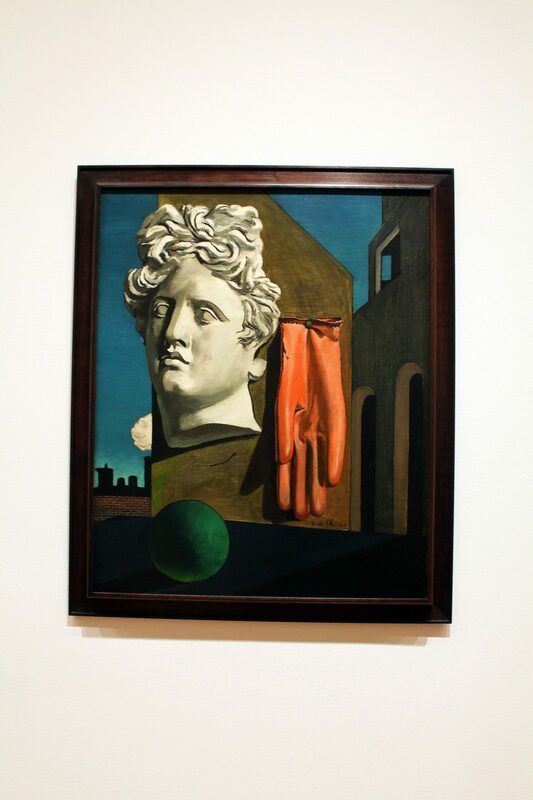 Giorgio de Chirico’s ‘The Song Of Love’ at the MoMA: de Chirico was an Italian painter who started his career in the early 20th century (he died in 1978 at the age of 90) – as you can probably tell by this painting, his art work was somewhat humorous yet strange and mysterious. I absolutely love his work, which I feel is a little underrated and was inevitably overshadowed by the Surrealist movement (which he partly inspired). 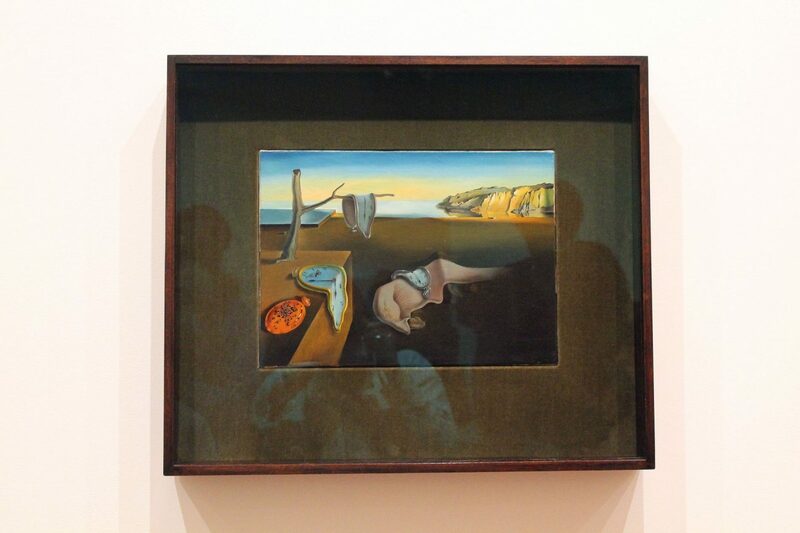 Salvador Dalí’s ‘The Persistence of Memory’ (1931) at the MoMA: Those beautiful melting watches! It’s pretty bad that considering the fact that I’m Spanish, I don’t think I’ve ever seen any works by one of Spain’s most famous painters in the flesh before this! Despite being a ridiculously small piece, it was still amazing to see it – Dalí is not one of my favourite artists but who can resist those melting watches? 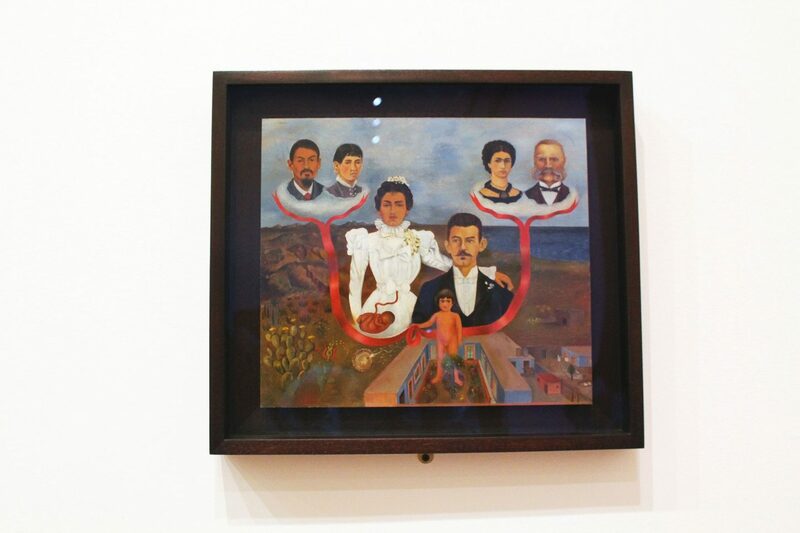 Frida Kahlo’s ‘My Grandparents, My Parents and I (Family Tree)’ at the MoMA: So guess what, I’m obsessed with Mexican painter Frida Kahlo too. So anything that involves Kahlo excites me, even if it’s not one of her more known self-portraits. 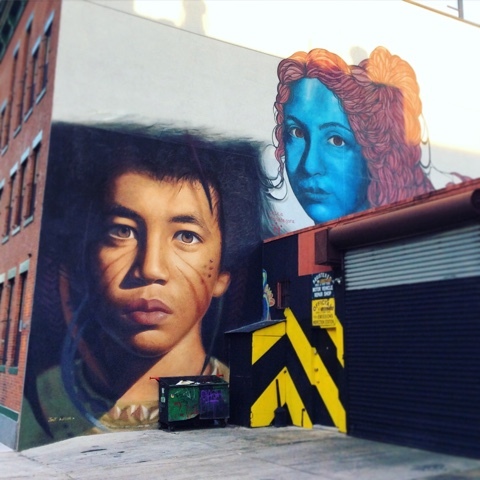 New York’s street art: No guys, of course it’s not all about museums with me. Like I mentioned in my summary post of New York, the street art we got to see in Brooklyn was mind-blowing. I was thinking about doing a separate post on it but I realised how ignorant I am about American street art, it’s a whole different ball game to London and not necessarily better, but pretty impressive. 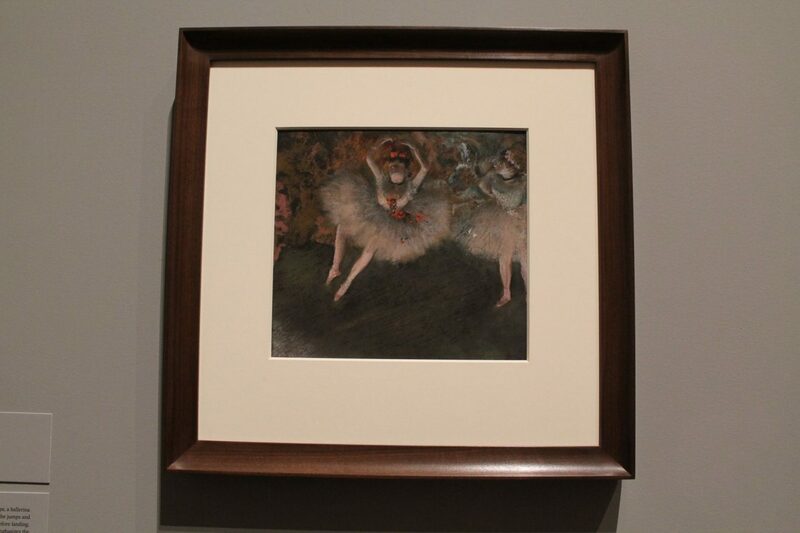 Edgar Degas’ ballerinas at the MoMA: The MoMA had an amazing exhibition on while we were there – the romantically called “A Strange New Beauty”, which was a solo exhibition on French Impressionist painter Edgar Degas. I’ve always had a soft spot for his mysterious portraits of ballerinas (although he as done so much more), and this exhibition was a highly detailed retrospective of his career. Pierre-Auguste Renoir’s ‘Girls At The Piano’ (1892!) 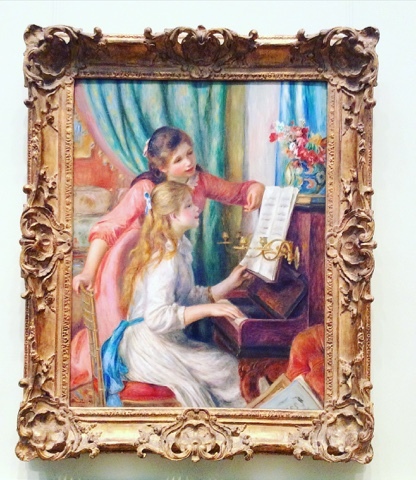 at the Met: I know I have pretty much said that I am obsessed with every painter I’ve mentioned in this post, but French Impressionist painter Renoir is my number 1. Why does he get to have such a coveted spot? Well, I loved his paintings from the moment my mum showed them to me as a child. I loved them so much that I copied many of them while I was learning art – yes, there are a bunch of tributes fake Renoirs in my family home, and I’m pretty sure I copied this painting too! I hadn’t thought about Renoir’s art in a long time and seeing this beauty at the Met was touching. ‘Transitional Object (PsychoBarn)’ by Cornelia Parker on the Met terrace: As you can tell by this post, I’m not really a fan of contemporary art – but seeing this installation – created by British artist Cornelia Parker and inspired by the house in ‘Pshycho’ – on the Met’s terrace was pretty thrilling. Robert Indiana’s LOVE installation in Manhattan: What’s not to love about Robert Indiana’s LOVE sculpture? The thing is that I’ve had my picture taken with different versions of this sculpture before – once in London and the other time, rather unexpectedly, being in Bilbao, my hometown. So yes, I felt pretty chuffed having my picture taken with in New York too. Van Gogh’s ‘The Starry Night’ (1889!) at the MoMA: If Renoir is my number one, Dutch painter Vincent Van Gogh is definitely in the top 5. There is something mesmerising about his work, which I don’t think I’d seen much of before – so seeing the beautiful and iconic Starry Night was a dream come true. There seems to be a fair amount of Van Gogh’s work in New York, so if you’re a lover of Van Gogh like me, you’ll be in for a treat. Actually, if you’re simply an art lover, New York City is your place. As well as these three museums, there are so many other places worth seeing. I cannot wait to go back and savour even more art – both old and new, off and on the streets. Pictures taken in May 2016.